Great reviews, Gary! I found Incredible Hulks #629 to be bitter-sweet, but still very enjoyable. 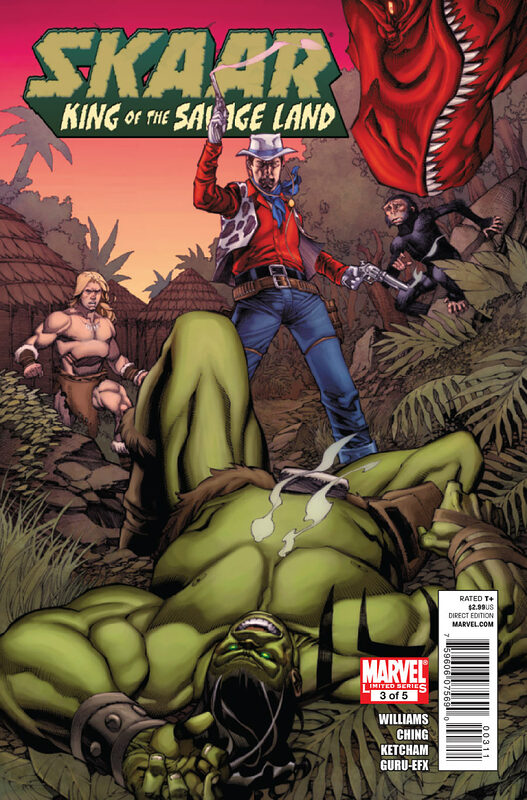 I have yet to pick up Skaar: King of the Savage Land #3, but it does seem like Rob Williams isn't using Skaar to his fullest potential. I can only hope that the last two issues resolve this problem. 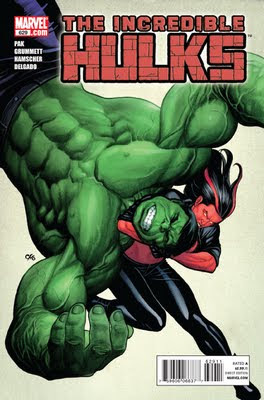 I would still like to see Greg Pak come up with another long running series with Skaar as the main character, with perhaps Fred Van Lente co-writing. That is after Pak's finished with Heart of the Monster which I can't help but wonder if Skaar will be apart of or not). By the way, I can't wait for Incredible Hulk: Heart of the Monster! Did you see the previews for Incredible Hulks #630 & 631 on Marvel.com? Paul Pelletier is really giving us some great art! If you've haven't seen them, I suggest you check it out! By the way, have you've checked out the Mighty Thor #1 & 2? It's pretty good, and Coipel's artwork is awesome, especially if you're a big fan of the Silver Surfer & Galactus. Anyways, great reviews, and I hope to read more of your posts. Take care, Gary! 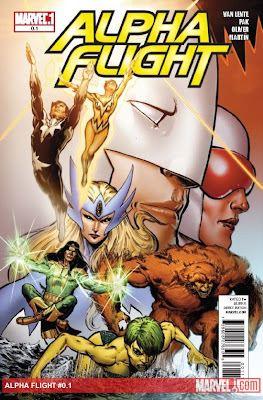 I'm waiting for my next shipment from DCBS to get Alpha Flight. Maybe you can tell me, however, do they provide a good introduction for NEW readers? Is there a page or two that describes who each person is, their powers, and maybe some bio or history? I'm looking forward to checking this out. I remember the only AF I ever read was during my first job, which was as a library page. Instead of work, I would sneak into the magazine room and read Daredevil issues (JRJR) and Alpha Flight, which I'm sure were Bill Mantlo issues. Speaking of Mantlo, I noticed major differences in Betty Ross between Boisterous Bill, Peter David and Grek Pak's representations. Bill had Betty as a army general's daughter, flying planes by herself and always willing to voice her opinions. David made her a bit more passive while bringing a bit more emotional depth to her character, and ... well, I don't need to describe what Pak has done. I'm generally unhappy with what's been done with her since her resurrection. But, I'll leave that to another discussion.